Steve Behrens is a maker of stories, photos and publishing contraptions such as newspapers and websites. I’m weaned from my long-term project Current, the newspaper/website for people in public media. I live and work in Washington, D.C., on Birch Street, which explains the name of this site. We couldn’t help planting a grove of birch trees here. 1970-77: Reporter and editor, D.C.-area suburban newspapers, including the Fairfax Journal and the Northern Virginia Sun. Edited the Fairfax-based Virginia Sentinel, an offshoot of the once-very-good Montgomery County Sentinel. 1977-80: Publications Editor for Zero Population Growth Inc., a national environmental membership group. I didn’t endorse the anti-immigration blather that overcame some ZPG activists. 1980-83: Founding editor of Current, the country’s main journalistically independent chronicler of the public broadcasting field. 1984-88: Senior Editor of Channels magazine, Les Brown’s now-defunct, New York-based bimonthly magazine about television and new media, a National Magazine Award finalist whose hopeful days ended before the Web arrived (bad timing). Backed initially by the Markle Foundation and later by Norman Lear. 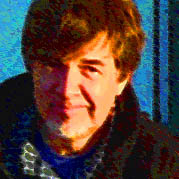 1991-2012: Returned to Current as editor. Built publication’s website by hand in 1995; later led its conversion to WordPress. Current remained largely self-supporting until the Great Recession of 2008. Initiated talks for financial aid with Wyncote Foundation and for adoption by American University’s School of Communication, effective January 2010. Skills: Research with curiosity, concise writing, emphasis on clarity and meaning, clean print and web design, Photoshop image-editing and compositing, InDesign composition. If you’d like to talk, please write to me through the Contact page or call my cell number, 841-0620 in the D.C. area code. This site runs on the great open-source WordPress content management system. Design adapted from the flexible WordPress theme “Origin,” by Elegant Themes. Photos, design and writing are mine except as noted.